From the first Canadian fighting at ‘Second Ypres’ in April 1915 to the breakthrough Canal du Nord crossing in September 1918, you can follow them all on our suggested 3-day (2 nights) itinerary. Alternatively we can offer a Vimy Ridge 1917 / Normandy 1942/44 tour. Starting in Lille and ending in Caen, this 4-day / 3-night tour covers Ypres (Passchendaele), Vimy Ridge, the Somme, Dieppe 1942 and D-Day Juno Beach 1944. Naturally we can put together a family-specific tour, and tours of different durations. Only got a day? We offer a Day Trip from Amiens or Lille. Meet at a Lille hotel - or at the station: 1 hr 25 from London St Pancras; 1 hr from Paris by train. 45 min drive to Ypres: tour taking in the site of the April 1915 gas attack (&apos;Brooding Soldier&apos; monument), Essex Farm (John McCrae), Sanctuary Wood (Hill 62: Mt Sorrel) preserved trenches, Caterpillar/Hill 60 (Canadian mining operations), and Passchendaele - then into Ypres itself for night in hotel, with attendance at the 8 p.m. Last Post Ceremony at the Menin Gate memorial to the Missing. 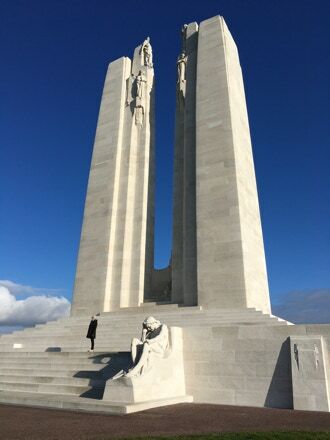 Travel 1 hour south to Vimy Ridge - tour taking in the preserved trenches and craters, the beautifully restored Canadian National World War I memorial, and the new Visitors Centre. 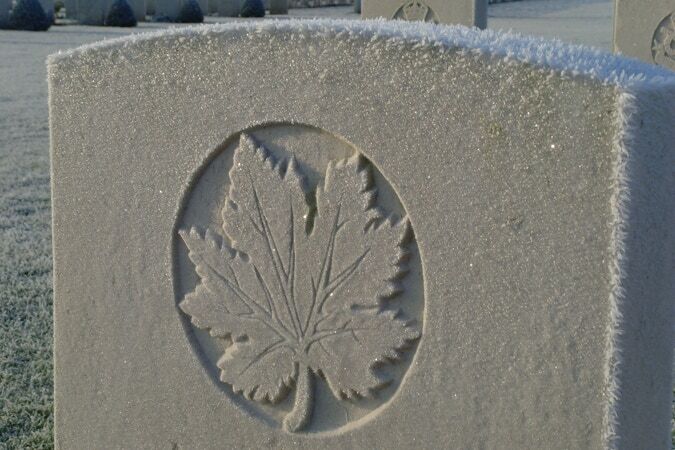 Visit nearby Cabaret Rouge cemetery to see where the Unknown Soldier, now in Ottawa, was taken from. Drive 20 minutes east to Monchy-le-Preux scene of brave Newfoundland resistance in April 1917, then a further 20 minutes to Cambrai to see the Canal du Nord and its memorial from Canada&apos;s impressive September/October 1918 advance. Night in Arras. Day tour taking in the Courcelette area (Canada’s part of the Battle of the Somme, September to November 1916), the Thiepval Memorial, preserved trenches in the Newfoundland Memorial Park (at Beaumont Hamel), the Newfoundland Memorial at Guedecourt, and Lochnagar Crater (the largest crater on the Western Front). Leave mid-afternoon for the 45 minute drive back to Lille. Starting in Lille and ending in Caen, this 4-day / 3-night tour covers Ypres, Vimy Ridge, the Somme, Dieppe 1942 and D-Day Juno Beach 1944. Meet at a Lille hotel - or at the station: 1 hr 25 from London St Pancras; 1 hr from Paris by train. Drive 45 minutes to the Ypres area for a tour taking in the site where John McCrae wrote In Flanders Fields, the Canadian memorial to the 1915 gas attack, and Passchendaele village with its Canadian sites. 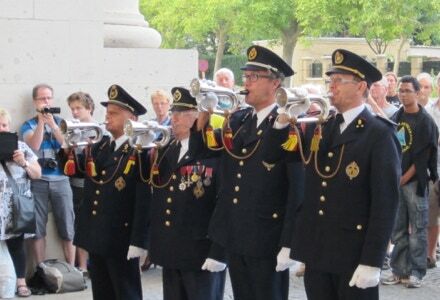 Night in Ypres - chance to attend the daily Last Post ceremony at the Menin Gate. 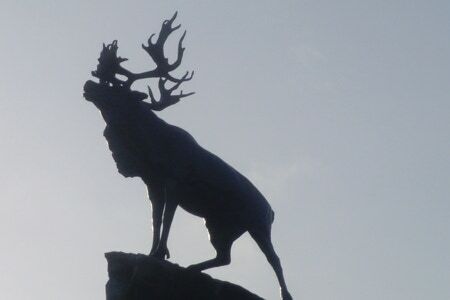 Drive 40 minutes south to the Somme: visit the Courcelette area (Canada’s part of the Battle of the Somme, September to November 1916), the Thiepval Memorial, and preserved trenches in the Newfoundland Memorial Park (at Beaumont Hamel). Night in Amiens, 30 minutes west. 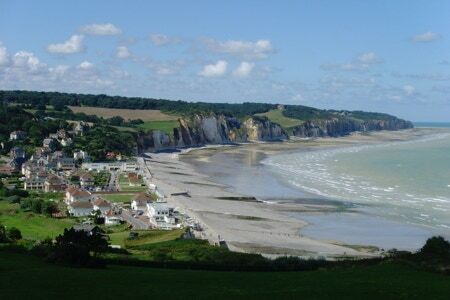 Drive 1 hour 30 minutes to Dieppe for a tour taking in the main beach, Esplanade and Chateau viewpoint; visits to the sites of the flanking attacks at Puys to the east and Pourville to the west; visit the Canadian cemetery. Drive on two hours to Bayeux, checking-in to our hotel around 6.00 p.m. 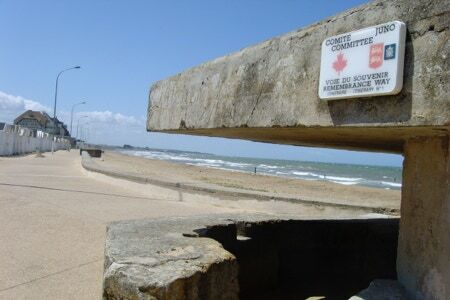 Morning tour of Juno Beach including &apos;Atlantic Wall&apos; bunkers and gun emplacements at Bernières and St Aubin, &apos;DD&apos; swimming tank and AVRE tank at Courseulles, the Juno Beach Centre, and the Canadian cemetery. 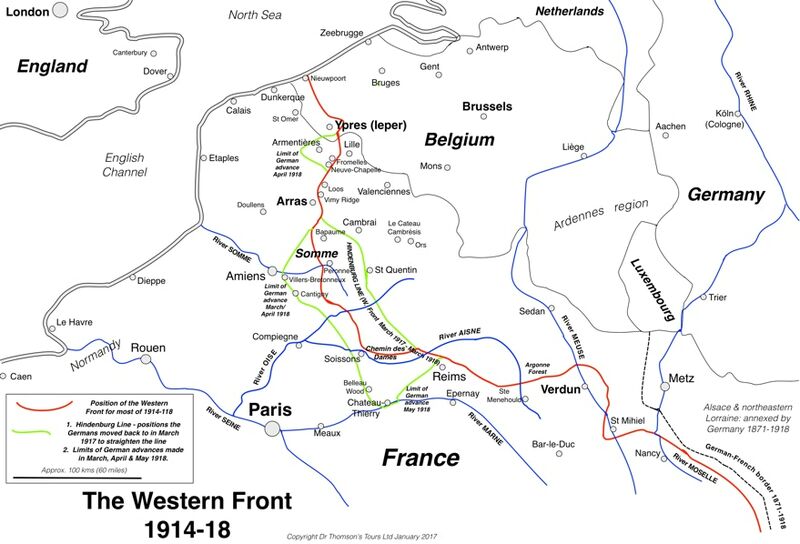 Afternoon tour following the route inland followed by Canadian troops - Buron & Putot - and time in Caen, where the tour finishes at the station for trains back to Paris: 2 hours.